Ⅰ.Statistical Yearbook of Hubei 2018 is an information-intensive data referencebook.Through a large amount of data,comprehensive analysis,records and reflects theHubei province 2017 economy,society,science and technology,culture and other as-pects of development.With a large amount of information,authoritative,wide applicabil-ity and so on. Ⅱ.The Yearbook includes 23 parts,comprehensive,population,practitioners andstaff salaries,fixed assets investment,energy production and consumption,price index,the life of people and natural resources and the environment,city situation,agriculture,industry,construction,transportation,post and telecommunications,domestic trade,for-eign economy and tourism,finance and banking,education,science and culture,sports,public health,social welfare,”one principal,two sub-centers and multipole”,YangtzeRiver Economic Zone,the general situation of courty and city,appendix,and so on. 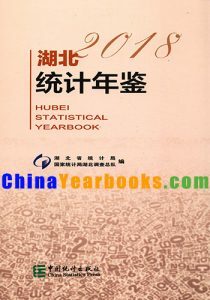 Ⅲ.In 2018 statistical yearbook of Hubei,discourse structure and “China Statisti-cal Yearbook” remain the same,with reference to the implementation of the “provincialstatistics index system directory”.The statistic of yearbook adopted the lastest standardand diameter range.And the English version and the interpretation of indicators wererevised comprehensivly.In 2018,Hubei statistical yearbook added the main indicatorsof “one principal,two sub-centers and multipole”,cut main economic indicators of Hu-bei Province Development Zone,Wuhan city circle,ecological cultural tourism circle ofWestern Hubei,and the individual indicator of county economy. Ⅳ.The Yearbook’ve re-examinated to the past published statistical data.Accord-ing to the results of the third agricultural census,the main indicators,such as agricul-ture and accounting were adjusted.All of them refer to this yearbook prevail.The Year-book of statistics data for the initial count,if the Yearbook text data are not consistent,please refer to the text data. Ⅴ.The use of indicators in the Yearbook should be combined with a stable inter-pretation of the indicators,as well as the reasonable use of annotations to avoid mistakes. Ⅵ.Since statistical Yearbook of Hubei published,we’ ve cared and supported.Readers’ ve put forward a lot of valuable advice to the Yearbook’s content and editorialwork.For this,we express our gratitude.Because the level is limited,therer are unavoid-able errors in the editing work,we welcome readers’ suggestions and criticisms. 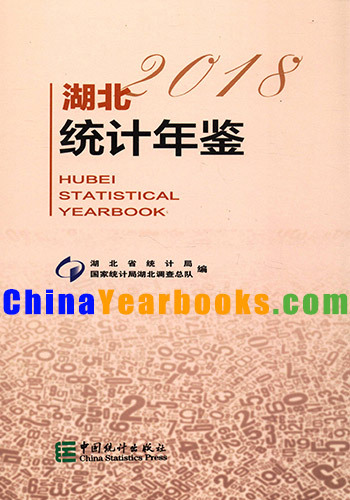 Hubei Statistical Yearbook 2014 (abbreviated as Yearbook hereafter ) is an information一intensive reference book. By providing large quantities of data, it has comprehensively collected, recorded, and reflected the economic, social, scientific and technological and cultural development of Hubei Province in 2013. It is informative, authoritative, and the characteristics of wide applicability.